Tille Höyük 3.2 is one of the few Iron Age sites to have been excavated on the River Euphrates between Malatya and Carchemish on the Turco-Syrian border, at a crossing point on the west bank of the Euphrates, an area now almost entirely inundated by a series of dam schemes. It is the only one with a near-complete Iron Age stratigraphic sequence to be published in detail to date. The site was dug between 1979 and 1990 by the British Institute of Archaeology at Ankara as part of the Turkish Lower Euphrates Rescue Project. The excavation revealed important architectural remains of the Early Iron Age, Neo-Hittite, Neo-Assyrian, and Achaemenid periods, spanning the eleventh to the fifth–fourth centuries BC. In this second (and final) volume of the report on the Iron Age levels, the pottery and objects are presented, together with chapters on seals and plant remains, along with a concluding discussion of the material covered in both Tille 3.1 and Tille 3.2. Lying on the margins of the Mesopotamian world, and with contacts with North Syria, North Mesopotamia, and the Levant, rather than with Anatolia or the Mediterranean, Tille provides vivid insights into the cultural history of the region during the Iron Age. 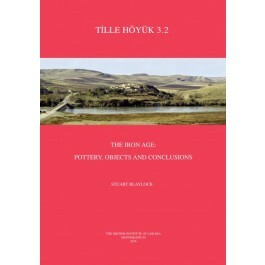 Tille 3.2 covers the material culture of Iron Age Tille and aims to draw lessons from the experience of rescue excavation in the context of a major dam scheme in a previously unexplored area of North Mesopotamia (with important implications for the archaeology and chronology of the region), and discusses the significance of the site in its local and regional context.